No, a common cold doesn’t kill nowadays, but it does take a lot of energy out of you. Especially with midterms kicking into gear, getting sick is one of the last things students want to deal with. The common cold is caused by a virus , so don’t buy medications just yet! 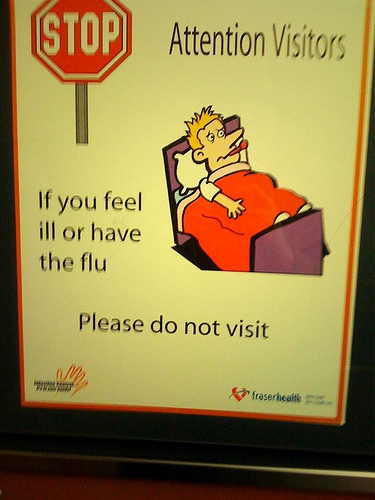 Most medications treat the symptoms of a cold and don’t kill the virus directly. The symptoms come from the bacteria that take advantage of your weakened immune system (thanks to the virus). Too much medication means the bacteria will eventually gain immunity to them, and symptoms get more difficult to get rid of. Rather, let your immune system do what it was designed to do: OBLITERATE get rid of the virus itself. But what of the symptoms? No medicine = miserable and tired college student? Fret not, the Clog has some methods (almost) guaranteed to soothe. A combination tested by time and science, honey water (or honey tea if you’re feeling particularly English) feels good, tastes good and is scientifically proven  to be good. We’re not sure if lemon helps, but it certainly makes your remedial concoction tastier. Sleep provides your body the opportunity to really get into virus fighting mode . Plus, sleeping it off just works. Time is the best medicine of all (sorry, move aside “love”). Good sleeping habits also help prevent  colds from infecting you in the first place.